This is Leon Redbone in session recorded at the VPRO Studios, Hilversum, Netherlands on the 28th January 1977 for future radio broadcast. 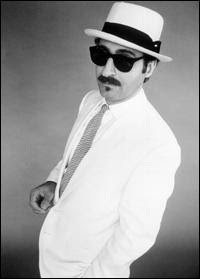 For those unfamiliar with him Leon Redbone is an American singer and guitarist specializing in interpretations of early 20th-century music, including jazz and blues standards and Tin Pan Alley classics. 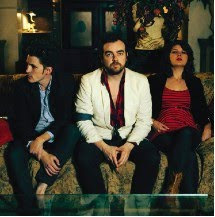 We have included a link below to a short biography of Leon on starpulse.com. I guess this limited session which features some very enjoyable if not a little quirky material for some, represents an introduction of sorts to Leon Redbone. If he is new to you and this arouses some interest, please do investigate further, I think you will be in for a pleasant surprise, and there is alot more depth to him beyond a solo studio session from way back. One of the great aspects of running a music site is when you receive new music that really is something special and opens up another avenue to explore. Andy Clockwise is new to me, however I guess not so to a reasonable number of Australians and some in Los Angeles. In 2003, Andy Kelly was homeless and destitute in his home country of Australia. After bizarre circumstances led him to help a friend with recording an EP, Andy fervently poured his passions into his own music. The result was his own debut EP “Song Exhibition,” which Australian radio station Triple J discovered and promoted heavily. From there on out Andy, working from then on as “Andy Clockwise” had his very own career in music, writing, creating and producing what he likes to call “Schizo Pop,” music that is “ever changing” but always emotionally captivating. 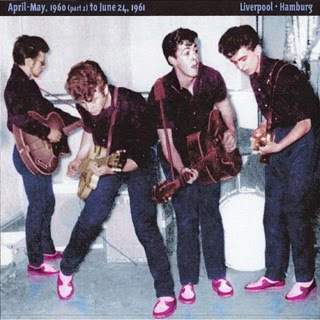 The Quarrymen - April 1960 - June 1961 (Part Two). This is the second of two releases that surfaced on CD as a series 'The Complete Beatles' and captures some of the transistion period from The Quarrymen through to The Beatles. Material includes some longer home taped improvised instrumentals that are quite listenable however in reality more of a historical collectors item than one for your mp3 player. The studio material is very good quality and marks another milestone on the road to The Beatles. Credit and respect should be given to Tony Sheridan who was also clearly part of this era of the bands development, it remains ironic that Polydor Records viewed him as the talent and artist to go with and tended to 'bury' members of The Beatles involvement. Source: Studio and home (reel tapes). Sound Quality: Listenable home recording to studio quality mp3@variable bit rates. Set: Various home & studio recordings.